The 2018 Bentley Continental GT Coupe makes a big first impression. What else did you expect? It’s funny how quickly a new car can capture the imagination of the drooling public. And I’m not talking about the 2018 Bentley Continental GT. Showing his GT to me, a once-upon-a-time ‘laird’ of a county in Scotland described the car’s engine as “sweet as toffee.” And added, curiously, as if to make a point, that the W12 was the same engine that comes in the Bentayga (the SUV from Bentley). You balk? So did I. Now that is astonishing in itself, and truth be told, I missed the point. 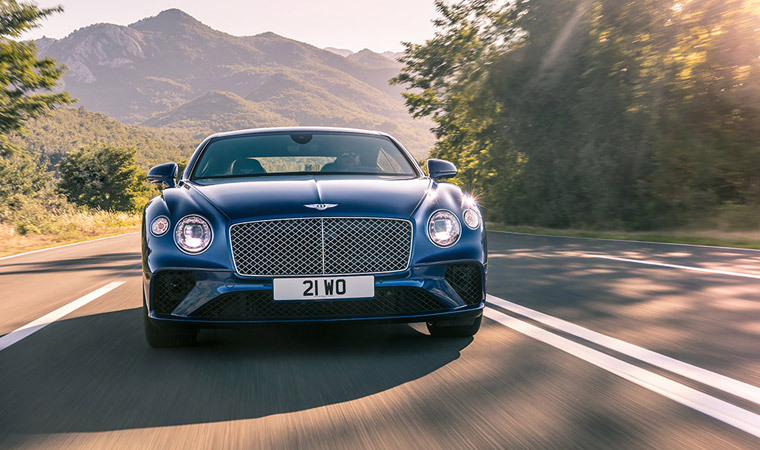 The Continental GT has been, for ages, the most decadent luxury two-seater roadster money can buy, and almost emblematic of Bentley’s sporting heritage. The Bentayga, on the other hand, the company’s latest entrant, and first into the SUV space is a greenhorn in comparison. So whether the gent meant to elucidate the GT’s brutishness, (I hope) or speed (hope not), escapes me. But I didn’t complain about getting the chance to reaffirm his notions about this car, and the highlands of Scotland, speed cameras apart, offer precisely the kind of countryside in which you’d expect a GT to go whizzing past. It’s the first time I’ve laid eyes on this car (it did launch in India a couple of months back, but I’m yet to see one on the roads) and even at first glance, it’s obviously longer and wider than the outgoing model which gives it even more road presence. And yes, even though the engine is a variant of the same 12-cylinder six-litre mammoth that powers the Bentayga, that’s about where the similarities end. In the GT the W12 powerplant is coupled with a dual-clutch, eight-speed transmission that releases over 600 horses when summoned—more than adequate to propel this behemoth to hyper velocities. And while frugality is unlikely to be a virtue that a potential GT owner is likely to be concerned with, variable displacement technology allows one entire bank of cylinders to disengage at gentle throttle openings. The GT tools around on six cylinders until the throttle opens wider and the engine reverts to full strength. An Active Roll Control system monitors road conditions and changes the car’s movement instantaneously to optimise handling and ensure a smooth ride. The classic English interior is, as you would expect, fully customisable: you can just drag and drop literally every single element in the cabin, in the material and colour you prefer on Bentley’s website to create your very own ‘First Edition.’ Even if you don’t, the cabin meets its own benchmark—nothing but full-grain leather, real wood panelling, chrome and all kinds of glitzy thingamajigs. For a final differentiator, the GT doesn’t stick to the standard 250kmph top whack cut off for most cars in the premium luxury segment. Even though it’s unlikely that the car will ever come close to hitting the limit anywhere in our country, owners can rest in peace knowing that if required, the GT’s speedo is perfectly capable of going in excess of 333kmph; there’s literally no other car on the road that can match that.